Launch of the new football boots "Basara"
Launch of Mizuno's first volleyball shoes, "Wave Lightning"
Launch of Mizuno's first "Wave Rider"
30th anniversary of the football boots "Morelia"
The founder of Mizuno, Rihachi Mizuno, who was impressed by the baseball culture of the United States, began producing baseball wear in an effort to spread baseball in Japan. He aimed at producing athletic wear that was easy to move in and comfortable to wear. This is the first pair of shoes Mizuno worked on. Initially, since it was produced using the scant technology and knowledge Mizuno had, they did not have spikes as the current models do. Entirely covered with leather, they were heavy and shaped like boots. In 1913, when Mizuno first marketed its baseball gloves, they were priced at about two Japanese yen a piece. The founder, Mizuno, worked with craftsmen to produce gloves he designed himself. In 1920, over pullover sweaters became popular with Japanese students who liked baseball because players of the United States' professional baseball team that visited Japan wore them. They were a big hit as they soon spread among the general public also. During this period, when the daily wages of a full-fledged craftsman were around one yen, the price of a pair of hickory skis was 30 yen, and only wealthy people could afford to buy them. After World War II, Mizuno contributed to increasing the skiing population by completely changing the means of production, promoting rational mechanization, and paying particular attention to research and development. At first, when Mizuno first began producing track and field cleats, the material was leather and long, heavy pins used as spikes. Since around that time, top athletes have continued to support Mizuno's spiked shoes and these spiked shoes are the starting of point of Mizuno's growth and what it is today. This is the first golf club Mizuno produced in Japan. This model is Mizuno's first cast iron, representing important technology that has been handed down even to the present day. At that time, the same type of baseball gloves was used irrespective of the player's position. Paying attention to the movement of baseball players, who require a different way of catching the ball depending on the position they play in the field, Mizuno was the first company in the world to develop a catcher's and first baseman's mitt focusing on how players fielding these positions catch the ball. Mizuno began manufacturing gliders to commemorate the 30th anniversary of its founding. After years of facing many challenges, a team of engineers successfully conducted a test flight over Mt. Fuji. In 1940, the 301 Soarer model established Japan's new record in terms of altitude and flight duration. Immediately after World War II, it became extremely difficult to obtain leather, which up until that time had been used to produce baseball gloves. 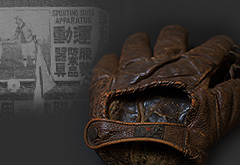 In such conditions, Mizuno began producing cloth baseball gloves based on the founder's strong belief that "Japan needs the power of sports to pull it out of the darkness it is experiencing now." Around 1946, immediately after World War II, Mizuno started producing tennis rackets on a trial basis at its own plant. In the following year, the company increased its production equipment to begin producing rackets in earnest. In the early 1950s, in addition to the conventional material of wood, it promoted research in fiber reinforced plastics (FRP), and in 1952, the production of tennis and badminton rackets grew so fast that the number of rackets produced reached around 10,000. Mizuno began selling its high-grade Grand Monarch golf clubs. This series of golf clubs was enshrined in the American Golf Hall of Fame in 1977. The Mizuno shoes, named M-Line, which covered all needs—from athletic to daily-use shoes—made a big splash around the world. In 1975, Mizuno developed the New M-Line series with a more advanced M shape. In those days, Mizuno's World Win baseball glove became synonymous with high-grade gloves in the market. Mizuno proceeded to develop gloves giving much consideration to the opinions of the baseball players under contract with Mizuno. Many baseball players became familiar with the "cup mark" as a symbol of Mizuno at that time. Mizuno's M-Line boxing shoes supported the feet of a famous boxer, who was a world champion. In 2015, a new world champion who took over this tradition appeared, becoming the topic of conversation. This is the most prominent of all M-Line football boots that take into consideration the ability to respond to various movements such as sudden dashes, braking, and changing direction. Use of light materials causes players to be less tired even though they continue to play hard and provide light footwork. Mizuno became the world's first manufacturer to develop and market golf clubs with a carbon head. This shoes mark represents the orbit of a planet. Called "Runbird" for its shape, it is currently used as Mizuno's corporate logo and plays an important role as a symbol of the Mizuno brand. This pair of boots, which weighed 245 grams each, was globally marketed as an extremely light pair of shoes in those days. Based on the concept of "light, flexible, and natural," it was developed as a boot that could be used by anyone irrespective of his or her skill level and the position they play on the field in an effort to further draw out the potential of many footballers. This glove was planned and produced to meet the request of an ambidextrous player of a Major League Baseball team in those days. It provided a pocket for accommodating the thumb on both of its sides so that the player could use it with their right or left hand even during a game, and the web was placed in the center of the glove. It was a product that represented the can-do spirit Mizuno had maintained since its founding. This racket became widely known to the world because a well-known female professional tennis player used it in those days, really catching on in the country. This model used two kinds of special materials, which absorbed the impact and vibration that traveled to the arm, reducing the burden on it. Mizuno became the world's first manufacturer to develop and market golf clubs with a titanium head. Mizuno Pro aimed at becoming number one in all aspects, including functionality, quality, and material. Since developers created the most natural shape of a hand from hand samples of many active players in those days and designed the glove using detailed calculations, Mizuno Pro was praised as a glove that was closest to the human hand and most faithful to its essential movements. These cleats helped established the then new world record of 9.86 seconds for 100 m. That was the moment when not only the athlete but also all developers at Mizuno who entered the company wishing to create shoes that would help make a new world record realized their dream. 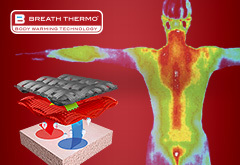 This is a basic material that responds to moisture seeping out of the skin and generates heat in the clothing. At that time, it was developed for winter sports, but in recent years, it has evolved into a daily-use material. Based on biomechanics, the concept of 9-point baseball cleats, which had gone beyond conventional wisdom, garnered public attention. Mizuno pioneered of 9-point baseball spikes, which are taken for granted throughout the world today. Mizuno developed a corrugated plate called Mizuno Wave, which overcame two contradictory requirements: cushioning and stability. Today, the running shoes Wave Rider, which uses this plate, are one of Mizuno's representative series of shoes. This revolutionary bat completely overturned the accepted idea that hard rubber balls do not fly far because they are soft and bats are hard. Use of special soft resin for the portion of the bat that hits the ball achieved the flight of a ball that up until that time had been inconceivable in the Japanese version of baseball played with a hard rubber ball. Infinity Wave exhibited the functionality of Mizuno Wave to the maximum extent by reducing the mid-sole sponge. It substantially improved the cushioning, stability, and resilience of Mizuno shoes and prevented them from easily running out of elasticity. In order to support the feet of the world's top athletes, Mizuno worked with players to develop the Wave Ignitus shoes. In developing this model, the developers paid particular attention to a special panel for making special no-spin kicks easy. This football boot not only supports the player's linear acceleration, it is also designed to allow the player to make high-speed turns easily while maintaining their speed. The boot's name is Basara, which means throwing one's weight around or behaving extravagantly, and this model is worn by many professional football players. This is the first model of the Wave Lightning series, which has been highly rated as Mizuno's volleyball shoes by many users from top-notch athletes to casual players. In marketing Morelia, Mizuno put its maximum effort into all operations of shoemaking, including the choice of materials and the quality of the manufacturing process. 2015 marked this model's 30th anniversary, but its design and shape have not undergone any major changes, continuing to carry on its tradition.